MS Outlook supports feature to assign one or more categories to any Outlook item in order to make it easy to locate specific items by its users. 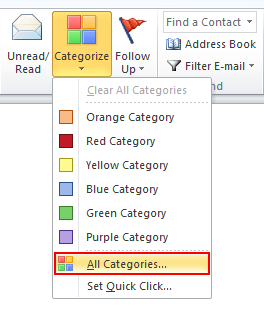 Color Categories was introduced in Outlook 2007 by combining the colored flags with categories. Sometimes, user needs to merge the master category list in an Outlook account with the list present on another computer. One of the possible solutions for the same purpose is to backup and merge our categories or to share categories between users, without overwriting the custom categories that are already present. The blog explains the procedure involved in backing up Microsoft Outlook's Master Categories List. MS Outlook does not support feature to import/export Master category for sharing custom categories with others, other than by exporting the registry & overwriting the registry entry on other computers. Any category marked on an Outlook item but not in Master category list is marked with 'Not on master list'. Master category is only preferred if the company uses many custom categories. When the categories are listed under master list, it is easy to select the right category to their items. 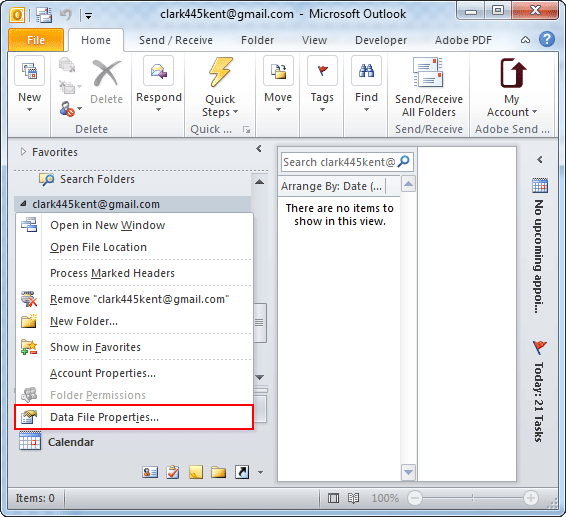 Open an Outlook item irrespective of any item type, but choosing contact will be easier to locate and name it 'Category Backup' that will be at the starting of address book. Click on the Categorize button in the ribbon then select All Categories from the bottom of the menu. A Color properties dialog will be opened displaying all the categories. Select all the desired categories in the list. We can do it by using the spacebar and the down arrow key to move through the list and select categories quickly. Click OK after selecting the categories and all of them will be added to the item. 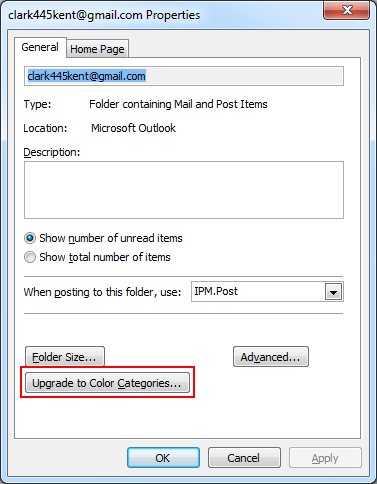 Before moving the PST file to a new computer or sharing the category with others, we will open this Outlook items, reopen the color categories dialog, and verify that all the selected categories are present. 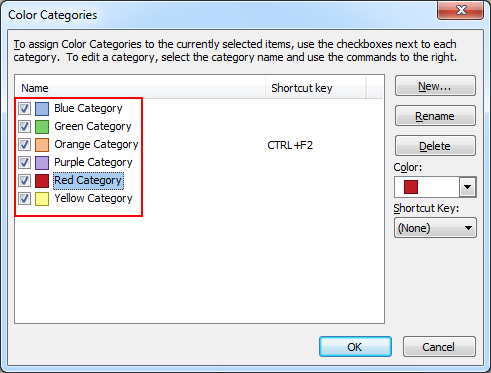 For adding Categories to the Master List, we will use Outlook's Upgrade to Color categories command to add them. This upgrade option will add the category names to the list and assign random colors. The user can change them later if they do not like the colors assigned by Outlook. Choose Data File properties from the bottom of the Menu. When the user enables Upgrade option, Outlook goes through all of the items in the data files, adds the categories that are not present already in the master list, and assigns a color to the category. 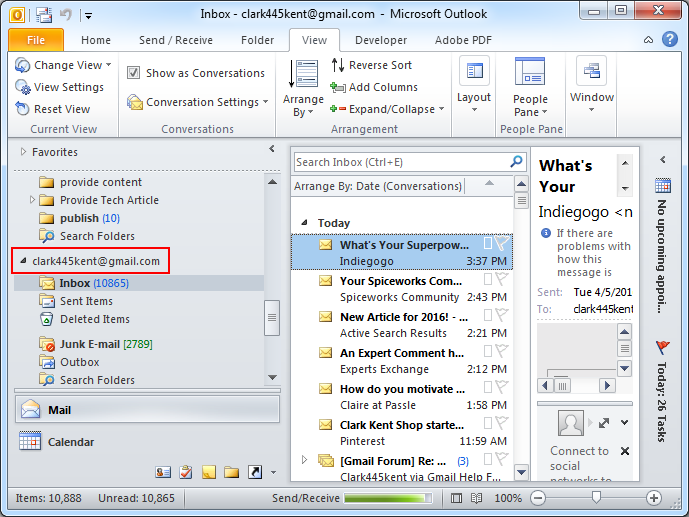 If user does not have an existing item with the categories assigned already in Outlook 2007 or 2010, he needs to add them one at a time using category dialog, with one exception that user can type or paste categories in the category field on the All Fields page in an open Contact form. This is the only Category field in Outlook 2007 or 2010 that accepts a comma-Separated list of categories. Once the list of Categories are added on the contact and saved, Use Add to Color Category command to add the categories to the Master List. The blog has been aimed to discuss about the feature of MS Outlook where user can categorize Outlook items making it easily recognizable. It further provides solution to backup and merge the master category list with list present in different computer without overwriting the custom categories already present.